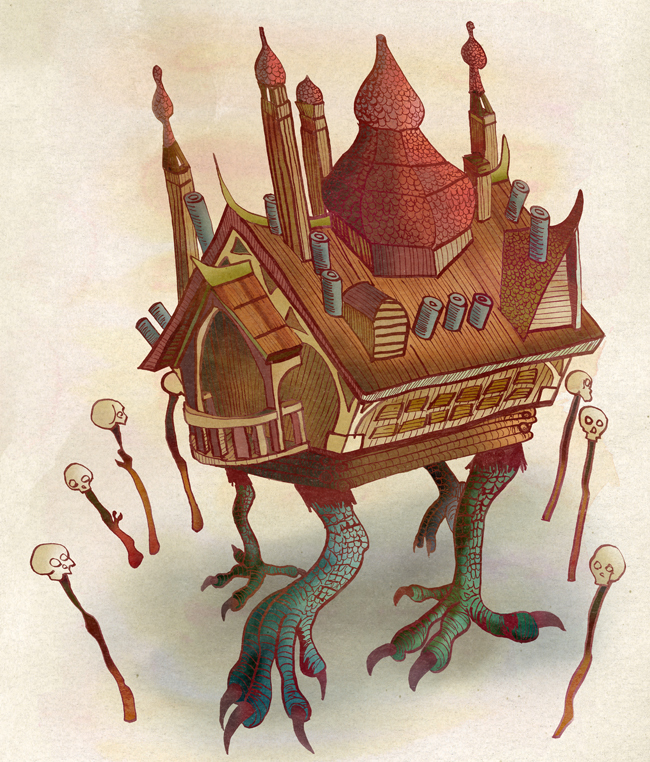 Baba Yaga's house walked around on chicken feet and was surrounded by glowing skulls. It's often depicted with two feet, or sometimes even one. I like the idea of it having four though. Her house also had no doors or windows - she entered and exited the house through the chimney. So I added some extra chimneys! This is another piece I colored digitally. The original I did by hand in ink on 12"x18" bristol paper.